We all play a role in influencing those around us. 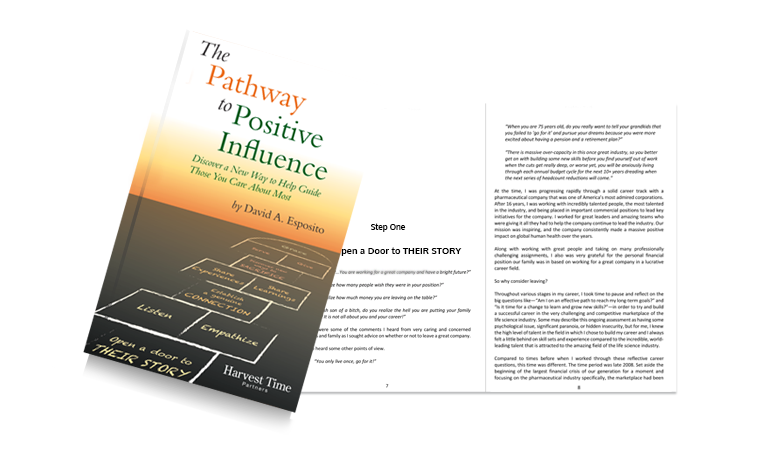 The Pathway to Positive Influence shines a new light on the most effective way to have a positive influence on those we care about most. The outcome of staying engaged on the Pathway to Positive Influence will be seen in the lives of those we influence who will do more than they would ever have been able to do on their own. We will enable those we care about most to raise their own standards and reach their full potential. The Pathway to Positive Influence provides the steps to inspire others to make “our world” better in the home, workplace, and community.